Engaging with atheists is not nearly as simple as it used to be. It used to be that you knew were you stood. Old-fashioned atheists were a straightforward bunch for whom “atheism” simply means “rejecting belief in a God or gods.” They rejected belief in God for emotional or intellectual reasons which they usually could articulate. Atheism was just something they happened to believe. But the triumph of consumerism means that old-fashioned atheism is no longer the only product on the sceptic’s shelf. The modern consumer wants variety, and the web has obliged, providing the new generation of non-believers with a remarkable smorgasbord of brands to choose from: anti-theism, nontheism, friendly atheism, militant atheism, activist atheism, agnostic atheism, all compete with plain old-fashioned atheism for attention. 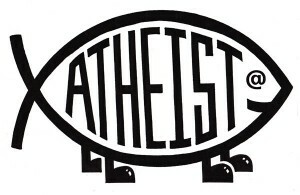 Atheism now sells itself as an identity and a movement: after all, you are what you buy into. The result is a deeply anti-intellectual movement. 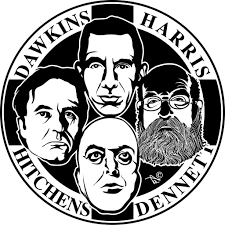 This may seem surprising: fter all, Dawkins, Coyne, Krauss, and Dennett all have impressive academic credentials. But they all seem wedded to some crude form of scientism: the belief that the scientific method is the only way we can discover the truth about whatever is real. Of course, if you only ask certain kinds of question you’ll only receive certain types of answer. If someone insists that scientific questions are the only questions worth asking they are determining, in advance, the types of answer that they will base their life on. So inconvenient arguments presented by historians and philosophers are subjected to withering sneers rather than detailed analysis. Anyone who reads Jerry Coyne’s blog or Sam Harris’s website will impressed by their knowledge of scientific literature; but he would be despairing of their inability to pull this learning together into a deep and coherent worldview or a persuasive, insightful commentary on human nature. New atheists do not seem to recognise there is more to wisdom than technical knowledge or expertise. Worse, they benefit from the internet’s illusion of instant expertise. These shows do not rely heavily on their own research, and simply regurgitate the journalism of their favourite daily’ papers or broadcasts. Their satire is distinctly one sided – the shibboleth’s of the political left are rarely questioned. Too often they offer sneers instead of critical arguments*. If this is how we learn about the news, it is little wonder that college and grad students believe that a blog or podcast can deliver the truth about God and reason. 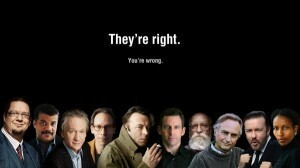 Curiously, this lack of depth makes witnessing to the new atheists very challenging. An atheist with a considered opinion can be reasoned with; but many members of the various online movements have had their minds muddled by Internet memes and celebrity soundbites. These ideas must be untangled carefully to make progress. To this end, Christians need to invest time prayerfully studying their own worldview (and not relying on websites and online sermons!) We should learn how to answer the best- and the worst – objections offered by atheists. I think the public debates of William Lane Craig, John Lennox, and other Christian apologists are helpful because they provide a neutral, nonthreatening environment for sceptics to hear the gospel and to hear some of their objections aired and answered. And, when we can, we must defend our faith from public challenges before the watching world. But I worry that some Christians see debates as a model for all our evangelism with atheists. Some young believers think their work is done when they have “defeated” every objection their atheist friends can muster. If you win a debate, you have proven you are quite good at debates; if you are very fortunate, you might also establish that your beliefs are not completely ridiculous. But this is a far cry from changing another person’s mind. So when you are talking to sceptics, have the patience and foresight of a farmer. Don’t try to prove the intellectual superiority of your worldview with dazzling arguments or razor-sharp proofs. Patiently and prayerfully plant seeds of doubt in the sceptic’s mind. Promote Scepticism about Scepticism Do this by asking questions that atheism cannot answer. If the atheist contends that science can explain the world, ask, Why do we live in a world that can be described by science? Why does nature obey laws? Why can those laws be comprehended by our minds? If the atheist condemns the wickedness of religions, ask, Who can say what is wicked if there is no “God’s eye” view of reality? Surely everyone is rationally entitled to their own point of view in a God-less universe. If a community makes and defends its own brand of righteousness, who is to say they are truly wrong? Nurture Trust. Most intellectual objections to the Christian faith are driven by the heart and not the head. Some atheists are bitter because a church has not responded to their needs or even attempted to answer their doubts. Others are disillusioned and jaded by a world that rarely repays kindness. So simply taking the time to respond to a sceptic is a mark of respect that may count for more than the most convincing proof. Don’t treat a sceptic as a “project” to be won over to your way of thinking, or as an opponent to be defeated in a battle of wits. Simply be their friend because it is good to be a friend; then share the gospel because that is the sort of person you are. So have the patience of a farmer, and trust the Good Shepherd. For it is not evangelists, but God, who ultimately convinces lost hearts and minds. * The same satirists are responsible for the rise of their nemesis, Donald Trump. The candidate with the most coverage tends to benefit most in the polls. Trump simply branded himself as “politically incorrect” which made him immune to the jeers of the stand ups. At times, he seemed to do his best to enrage them. Then he simply sat back and enjoyed the free advertising.